Marvin Luvualu Antonio: Dispossessed /Pt 1. Installation view. Marvin Luvualu Antonio: Tracey, replicant (2016). Detail of installation. Marvin Luvualu Antonio: Dispossessed /Pt 1. Installation view. Marvin Luvualu Antonio: His own private Africa (2016). Marvin Luvualu Antonio: Call Home (2016). Part of the complex strata of Dispossessed/Pt 1’s atmosphere is a vigorous hypermasculinity. 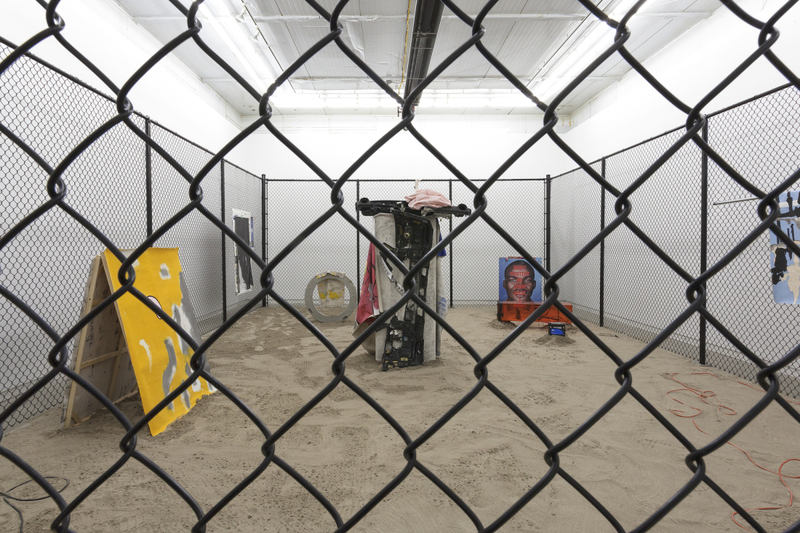 Marvin Luvualu Antonio pins you to the cement walls of Clint Roenisch Gallery with a towering chain link fence and forces you to walk the plank-like perimeter of the cage in order to see what’s inside. The enclosure is literally charged with coiled orange power cords nestled all about the trodden sand that covers the floor. A camouflage tarp overhanging one corner of the fence gives the whole framing a combative tone. 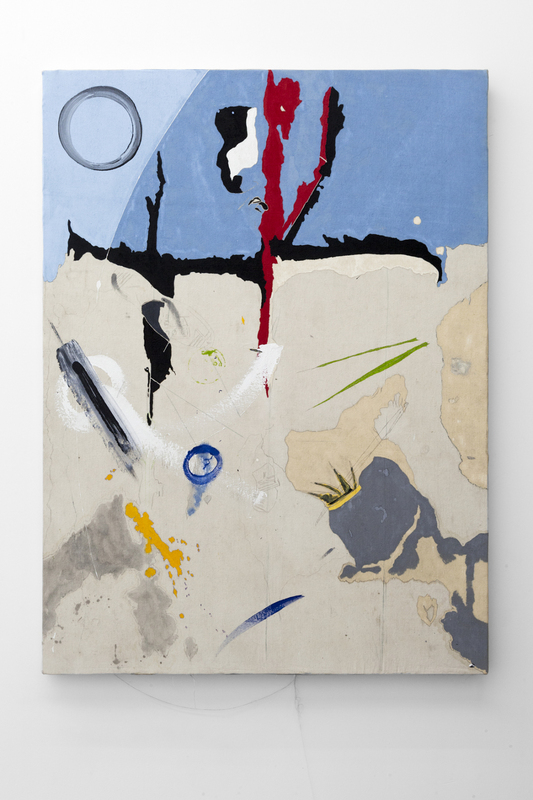 Clusters of paintings and sculptural work—some cement based, others small assemblages—are spread out across the sand. Several painted canvases hang, lean or drape illegibly, placing Antonio in an art historical legacy amongst the likes of Picasso, Ligon, and Basquiat. These works are bellicose, meticulously unruly, and solidly rough. An upturned flat screen monitor, angled into another pile of sand, plays a video collage of a black man devouring a bunch of stemmed flowers beside a series of men slowly popping their erect brown penises from the confines of their shorts—all of this to the loop of a soft R&B song. 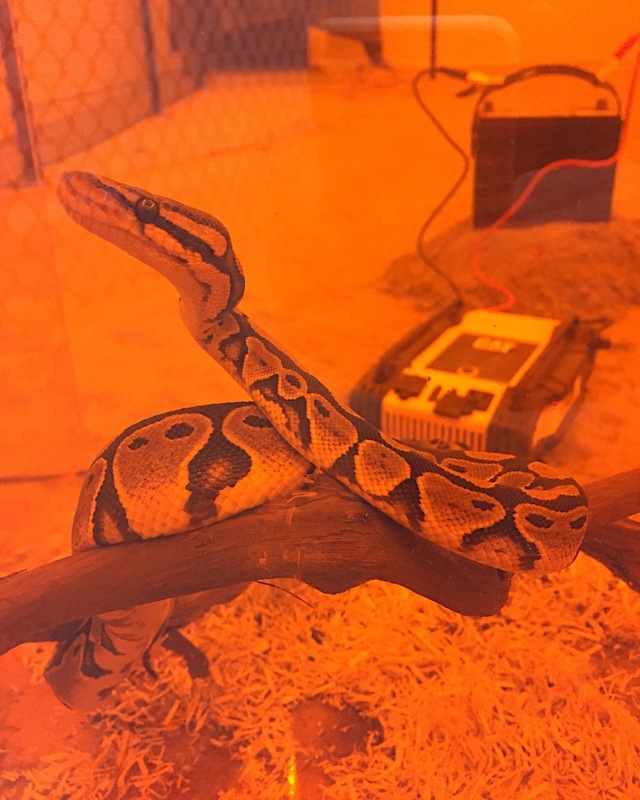 In the opposite corner, Tracey, a West African ball python, slumbers in a neon orange fibreglass cube. I want to read Dispossessed/Pt 1 as a defence rather than a confrontation. 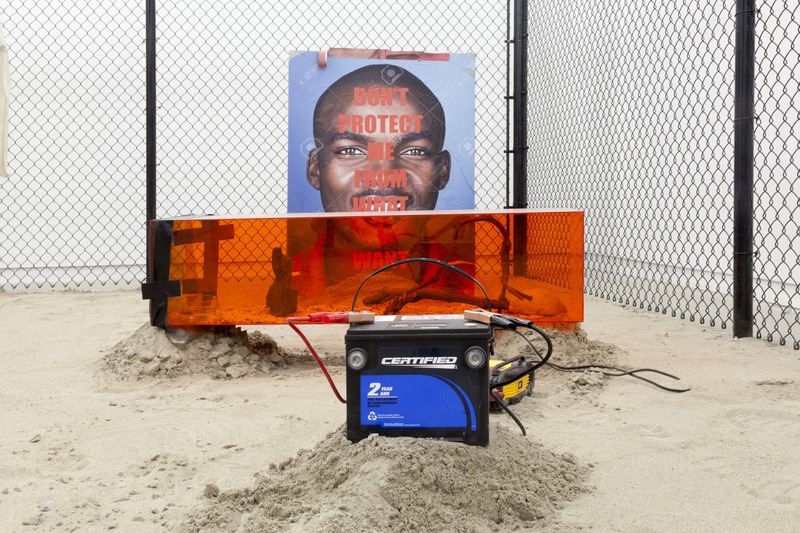 Antonio’s materials and the mood of his installation bring to the fore tropes of black male sexuality based on a set of stereotypes brimming with fascination and repulsion. In several instances movement in and between the work suggests a response to a difficult situation, like arriving at the scene of a crime. 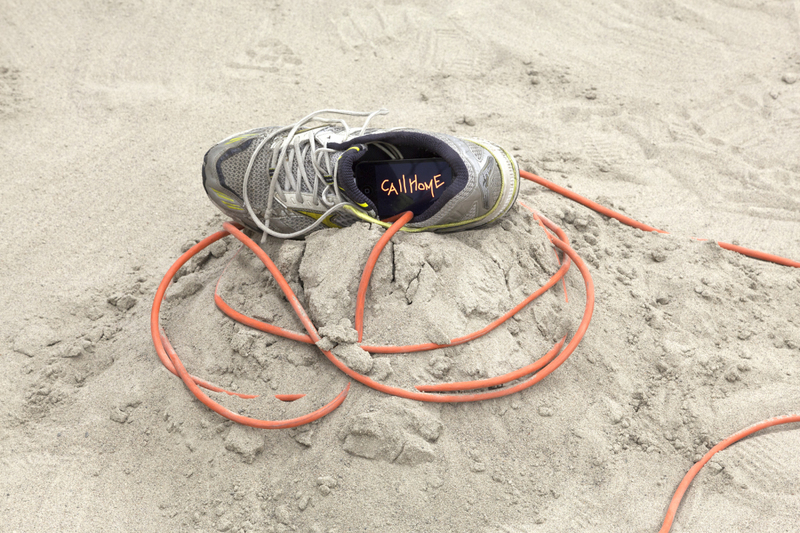 Nestled in a pile of sand, a cell phone inside the heel of a running shoe reads call home. The centrepiece is the trace of a calamity: a Mercedes bumper lodged into an upright mass of cement. Instead of a straightforward assertion, there are questions; an uncertainty put into play by the ostentatious display. In the sand near Tracey the ball python is a poster with the words DON’T PROTECT ME FROM WHAT I WANT printed over a black man’s face. But inside the cage, the poster’s declaration gets turned on its head. Who wants what? and Who protects whom? Looking through the fence highlights our own desire to see, and decenters any possible unconscious, neutral gaze. How we look, we are made to understand, is a reflection of our own cultural attitudes. The exhibition’s namesake, Ursula K. Le Guin’s sci-fi novel The Dispossessed: An Ambiguous Utopia, is a story of alternative universes, where language shapes the way people think, and how they interact socially. Perhaps the show’s movement, its fugitivity, is an advance towards the grounds for other narrative possibilities, beyond the scripts and discourses that fix us into how we are supposed to be. 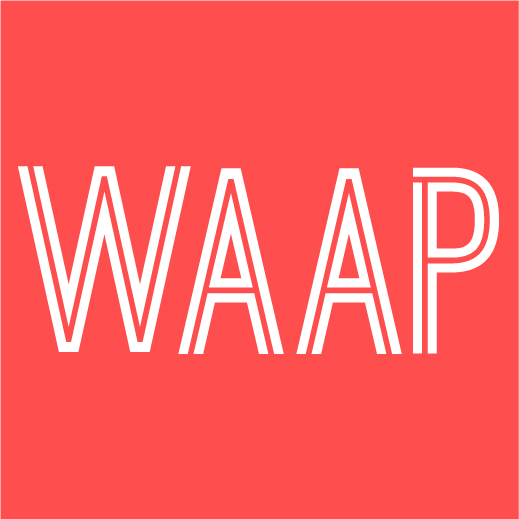 This exhibition offers an opening, a push (not a nudge) to think and think again about the position we look from, and its implications for how we ourselves might be apprehended.